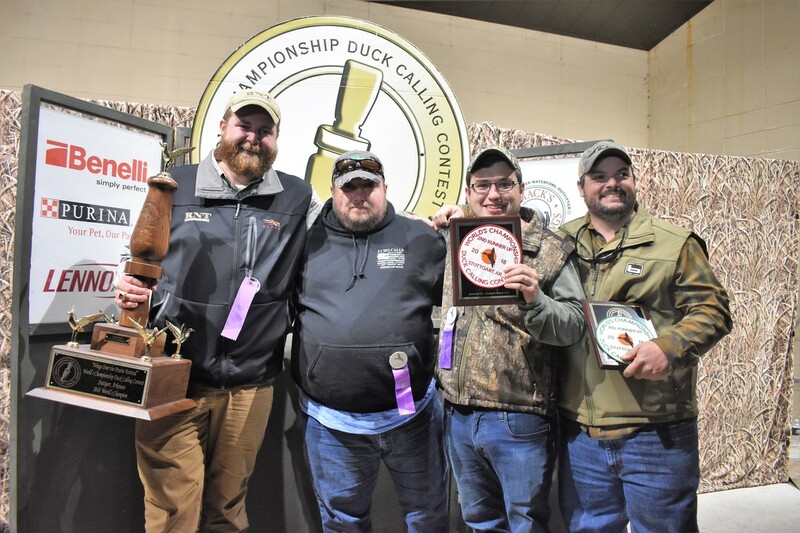 Top 10 finishers include: 4th Runner Up: Daniel Duke from Stuttgart, AR; 5th Runner Up: Tyler Breashears of Lonoke, AR; 6th Runner Up: Preston Ellis of Texarkana, AR; 7th Runner Up: Domingo Sanchez of McPherson, KS; 8th Runner Up: Robert Strong from Orting, WA; 9th Runner Up: Haiden Richard of Erath, LA; and 10th Runner Up: Robbie Iverson from Ottawa, IL. 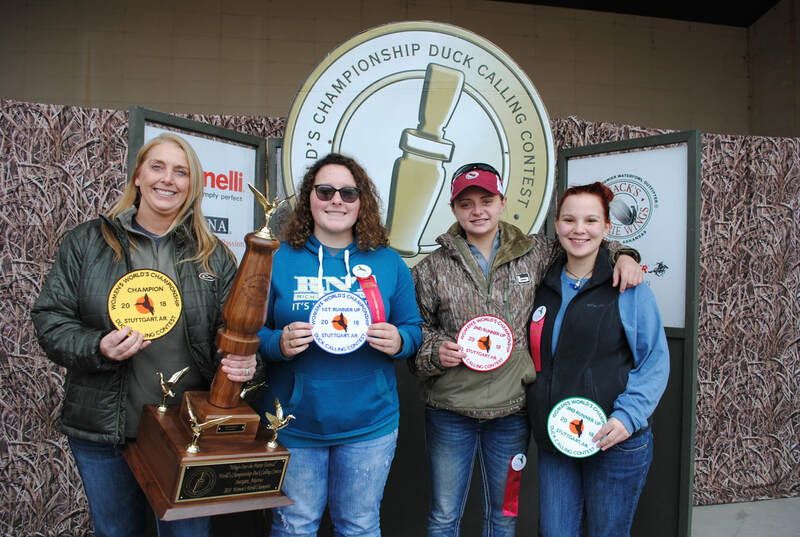 WOMEN'S WORLD: Champion Lana Vanwinkle of Batesville, AR; First Runner Up: Julia Ryan from Stuttgart, AR; Second Runner Up: Ciara Linker from Redfield, AR; and Third Runner Up: Curstin Jardine of Niota, IL. INTERMEDIATE WORLD'S - Champion Alex Gilingham of Sheridan, AR; First runner up: Miles Pond of Folsom, LA; Second runner up: Andrew Williams of McGehee, AR; and Third runner up: Hunter Woolems of Star City, AR. 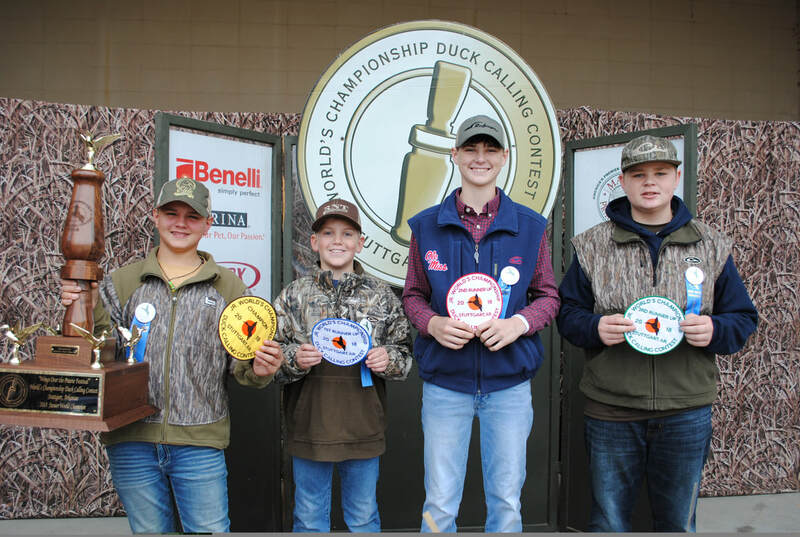 JUNIOR WORLD'S - Champion Kadeyn Simmons of Sherwood, AR; First runner up: Mason Griffin of Edenton, NC; Second runner up: Hayden Hunt of Adamsville, TN; and Third runner up: Finley Jones III of Milton, DE. 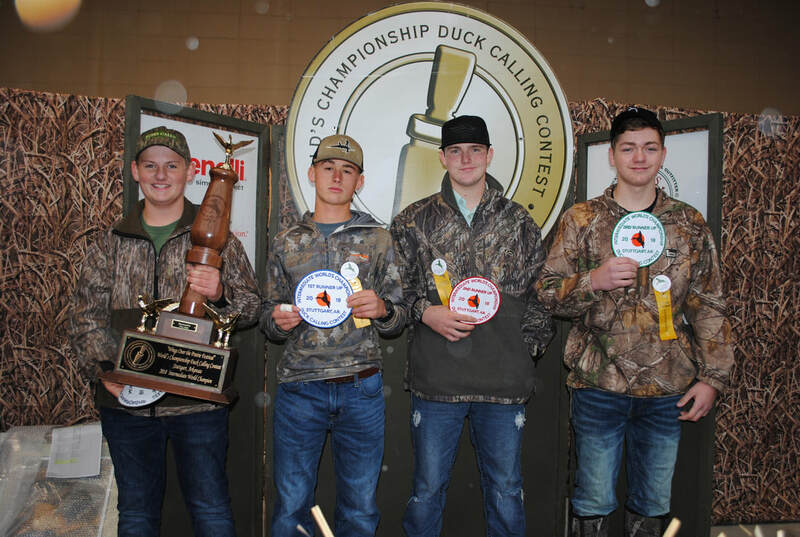 CHICK AND SOPHIE MAJOR MEMORIAL CONTEST - Champion Dillion Wilson of Colt, AR; First runner up: Hunter Thynes of Manning, SC; Second runner up: Connor McCracken of Waskom, TX; and Third runner up: Bennett Holt of Crossett, AR.